The situation began when narrative designer Price posted a 29-tweet thread on the difficulties of writing player characters in MMORPGs. Denmark-based Deroir commented on the issue, suggesting that branching dialogue options could help overcome the genre’s limitations. “Really interesting thread to read! However, allow me to disagree slightly,” he wrote. “Like, the next rando asshat who attempts to explain the concept of branching dialogue to me — as if, you know, having worked in game narrative for a f**king DECADE, I have never heard of it — is getting instablocked,” she added. Her response brought a backlash from the ArenaNet community, leading to co-worker Peter Fries defending her. “Here’s a bit of insight that I legitimately hope he reflects on: she never asked for his feedback,” he tweeted. Deroir said was only looking for “dialogue and discussion,” and “meant no disrespect.” He also apologized for any offense his comment might have caused. Price said ArenaNet knew about her reputation for being outspoken on Twitter—she made controversial comments about the death of TotalBiscuit in May—but the company "reassured [her] that they 'admired [her] willingness to speak truth to power’” when hiring the writer. The situation has split opinion. Price has been involved in plenty of controversy before, and some say she deserved to be fired for her rude response to genuine feedback from a partnered content creator, for which he apologized. The alternative argument is that this proves fans who shout loud enough have the power to fire devs using social media, and that ArenaNet appeased a small number of toxic community members. Gamers treat developers’ personal twitter accounts like customer service hotlines. We’re expected to have no boundaries and to take in good faith and humor everything from ignorant complaints to accusations of incompetence. As soon as we say “no”, we‘re harassed out of a job. Suggested headline: Dragon incinerates game devs as white knight fails to defend special princess. Bp968, Clamyboy74 and Reehahs like this. It sounds like she was a ticking time bomb; taking a legitimate suggestion as an attack on her gender. Bp968, Roman Architect, Clamyboy74 and 6 others like this. "In an email to Kotaku, Price said "By the time that guy came along, I was so tired of having random people explain my job to me in company spaces where I had to just smile and nod that it was like, 'No. Not here. Not in my space.'" Unless she owns the company and is self-employed, dealing with questions entirely related to work isn't "her personal space". If after making the first comment, had she instead swiftly followed it up with something like "Sorry dude, bad day at the office but thanks for your feedback", it probably would have ended there. Instead, as is typical in the modern "social era", stupid minor disagreements get turned into a "full on" personal crusade based not on what was said but what "they must be thinking", followed up by egging others on to pile on & join in ("retweeting" in a nutshell), followed up with "people can only talk to me if I like them and grant permission in advance, even when it's part of my job to talk to people whether I like them or not", which is actually a typical symptom of long-term social media addiction. 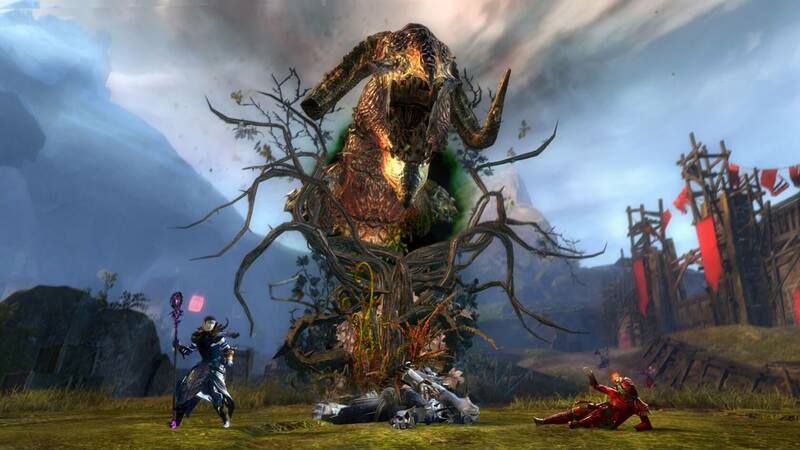 "The alternative argument is that this proves fans who shout loud enough have the power to fire devs using social media, and that ArenaNet appeased a small number of toxic community members." No. In this case, ArenaNet did the right thing. Staff with zero conflict management skills who "reach out to social media" to stir the sh*t instead of trying to de-escalate are probably not suited for work that involves heavy stuff like "learning how to talk to people outside of your Facebook inner circle". Bp968, Clamyboy74, Capaill and 9 others like this. The sexist tone of her comments is enough to get my back up without even reading the rest. Don't know if that's enough to deserve being let go/fired over, but it certainly makes her hard to like. skinnybuttons, Bp968, Clamyboy74 and 2 others like this. She wasn't on the clock and it was her own personal account not related to where she worked. Being fired because some random gamer or content creator wants to simply chime in, is simply bs. Next week, we will see a article where fans gets a coach fired because they would have called a better play. Come on man. I convinced my game group to leave Pathfinder several years ago because of Price's aggressive and dishonest identity politics on the Piazo forum. She is the type of lightning rod that the right paints everyone on the left as being. TempleOrion, Roman Architect, Clamyboy74 and 6 others like this. No. It is ignorant to think that you can be negative in a public setting, on a personal account (especially talking about your work) and get away with it in this day and age. If she wanted to rant, she should've done so privately and not in response to those that saw her public post. Your personal/public life can impact your professional life, and she foolishly took her problems out on other people/customers out in public (in her replies). Now she's paying the price. TempleOrion, Clamyboy74, Godel and 1 other person like this. Nobody said she couldn't have the opinion. She wasn't forced to say anything on Twitter. She said it, she should own it. It's "her" PUBLIC space, of course, but the company also has the right not to associate with her because of what she does in said PUBLIC space. For a person characterizing another's language as mansplaining, she sure uses a lot of gaslighting language, like when an abuser tells his or her abused, "Well, you made me hit you because of what you said." "Well, I just said these nasty things because this person provoked me." The unspoken rest of that is, "Because I can't control myself and therefore don't have to accept the consequences of my actions," I.e. an abuser. TempleOrion, Clamyboy74, Girus and 5 others like this. Attack the customers of whoever you work for “off the clock.” When they call you into the office to inform you of your termination, tell them “come on, man! I was on my own time!” I’m sure they’ll understand and correct their mistake. TempleOrion, Bp968, Clamyboy74 and 6 others like this. The reality is this, twitter is not a private space, it is a public forum. If you go there to post something, expecting no response, then you are confused about the point of twitter. You post, people can respond. Not sure what she expected. It's not like she called her friend up and expecting to vent, she dropped the topic into a public forum, and then attacked when she got a reply. TempleOrion, Clamyboy74, Capaill and 2 others like this. People get fired for random stuff they post on social media all the time. They even get fired for private stuff too (eg. Sharing racist private messages on Facebook). This woman publically shared stuff on social media related to her job, and publically insulted potential consumers of the company works for. She could've been fired for far less than what she did. Or maybe she just read one too many troll posts insulting her. We all know twitter has lots of trolls. If I were in her shoes I'd have the social media managers sift through and pick only the good comments or those from high profile people. What she did was wrong but I can definitely see a scenario where she may have been poked one too many times and just flipped. I don't think that just a knee-jerk firing was the right action. They should give her the chance to apologize and keep her job. Or maybe she just read one too many troll posts insulting her. We all know twitter has lots of trolls. If I were in her shoes I'd have the social media managers sift through and pick only the good comments or those from high profile people. What she did was wrong but I can definitely see a scenario where she may have been poked one too many times and just flipped. I don't think that just a knee-jerk firing was the right action. They should give her the chance to apologize and keep her job. There was nothing negative about the guys post though "Really interesting thread to read! However, allow me to disagree slightly". She on the other hand sounded utterly delighted that a game reviewer died of cancer as part of a long "history" that goes far beyond this incident. If you want to block abusive Twitter trolls with psychopathic personality disorders, she'd be the first to go. TempleOrion, Bp968 and Godel like this. It was related to her job. She had her job in her bio, she talked about the game with the community on that account, and most importantly it was listed after AMAs and such. Maybe it was her personal account before she joined, but she chose to actively link it to her role at Arenanet after joining. The simple fact is that she responded to respectful and reasonable feedback from a player, through a channel that was listed as a viable channel to talk to her for the community, with insults and accusations. If you can't handle feedback from the public you shouldn't be making content for the public. TempleOrion, Bp968 and Capaill like this. She associates her personal account with her work. That's a big no no if you're an *** online. "Game producer, writer, editor, howling maenad. ArenaNet Narrative team. Obsessed with lionesses. Salty language. I block often. I won't play demure for you." TempleOrion and Bp968 like this. I wouldn't classify "ArenaNet appeased a small number of toxic community members" as an argument. It's more like a desperate & ostensibly baseless attempt at deflection and character assassination of the company/community by/for which Ms. Price was formerly employed. Nope. She launched an extended attack on me before on Piazo forums for using the word "uppity." Apparently it has been used to mean black people should be kept down. Since I posted further down from a female poster with a differing opinion, she quote mined me to try and say I was trying to tell the woman to know her place beneath me. Because I guess woman=black in that arguement. When someone, after several requests, posted something for me to see there was some trend of it being used against blacks, I said it was good for me to know in the future. I was really just using the dictionary definition. ..... her response was "you don't get to do that!" and a countless string of posts followed where I had to defend myself and was constantly on the back foot for having conceded that I could have chosen a better word. Her antisocial behavior is a feature, not a bug. TempleOrion, Clamyboy74, BSim500 and 1 other person like this. People should know their own limits when posting in a public forum. If you're quick to anger, and use insulting or condescending language, it's your responsibility to understand when to put the phone down, and stop posting. If she was getting mad at the responses she was getting, she should have put the phone down and walked away. Instead she descended into really unprofessional behaviour on an employer-linked public platform, and then is blaming everyone else when the consequences came a'knocking. Also, LOL at the idea that it's only women who get forced out of their jobs by social media mobs. Clamyboy74, nobodynobody and BSim500 like this. Twitter is a public forum. If she didn't want any potential critique, feedback or dialogue, she should have posted on facebook or a private blog. She chose twitter because it reaches a far wider audience, thus she could have her opinion yet didn't want it to be challenged. She was fired only after turning an innocent critique into a gender war despite the fact Deroir never even used pronouns, let alone mentioned gender. Afterwards, she followed up her rude response to him by rudely attacking the general GW2 playerbase who disagreed with her opinion. Basically, she proved herself a PR disaster and was swiftly terminated for it. Keep in mind, this is the same person who posted a tweet happy Total Biscuit died of cancer. So we cannot excuse this as "having a bad day." She's just an *******. TempleOrion, nobodynobody and BSim500 like this. Lots of discussions about Ms Price. Nothing about Mr Fries. Did he deserve to be fired? It's impossible to say from the article above, as the only mention of what he actually said is just one small line defending Price. If that's all he said, then no, I don't think he did deserve to be fired. Time to do some digging..